Barça B were beaten at home on Saturday when one of the other leading sides in Division 2B Group II, Cornellà, were awarded an 85th minute penalty, thus bringing an end to the unbeaten record at the Miniestadi. The reserves dominated the possession for almost all of the ninety minutes, but failed to turn any of that command of the ball into goals against a well-organised Cornellà defence. The closest they came to scoring in an intense first half came in the 22nd minute, when Martínez headed onto the crossbar. The game also saw a fine debut for Marlon Santos, the Brazilian on loan from Fluminese, and the return to action of Dani Romera after recovering from a meniscus injury. He came on as a first half substitute for Jesús Alfaro, who was forced to withdraw with an injury of his own. The second half saw a veritable onslaught by the Blaugrana reserves, but time and again they came up against an opponent that preferred to sit back and defend, and did so brilliantly. 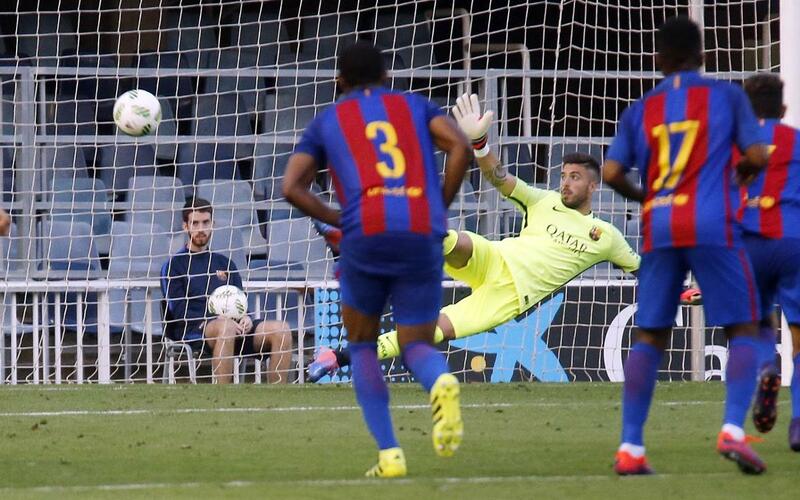 Not that Cornellà didn’t have a few chances of their own, but Barça keeper Suárez was in stunning form. But there was nothing he could do when a handball incident in the area had the referee pointing at the spot, and Enric did the duties with the kick. Barça B looked to have been awarded a penalty of their own moments later, but the referee adjudged Marlon Santos to have been fouled outside the area. Perea drove the kick into the wall and that was as far as the game went. Now it’s time to regroup after this defeat and start looking ahead to next Sunday’s trip to Gavà.